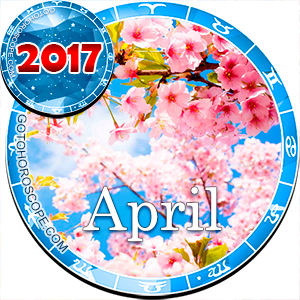 April 2017 Horoscope Gemini, free Monthly Horoscope for April 2017 and Gemini Astrology Forecast for the month ahead. 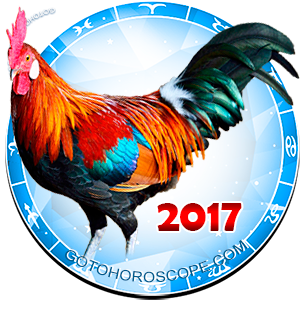 For people born under the Zodiac sign of Gemini, April 2017 could prove to be a month which stands out from all the previous and subsequent time periods of the cycle patronized by the Fire Rooster according to eastern tradition. It's likely that the second month of spring will be virtually the richest and most colorful for the year as a whole, and you need to be ready for this. Already from the start of the first ten-day period of the month you will feel a burst of strength, but you won't initially understand why you need it, since it will seem like nothing has changed fundamentally. In actual fact, many fundamental processes will simply be hidden from you (for your own good) for the time being. You'll understand soon enough that this is necessary, so you probably shouldn't expect any difficulties in this regard. You will have to work, there's no doubt about that, but it will be enjoyable work, you can be sure. The exception will be situations when you have already been doing something for a long time and you can't get it right. But this is your own problem, and the stars have nothing to do with it. Be careful in the third ten-day period, when you will have to make responsible decisions. Act swiftly, but don't forget to think, don't let yourself be lazy or treat your job carelessly, otherwise Venus and Jupiter, whose position is not particularly favorable towards you, will quickly reduce all your promising opportunities to a minimum. 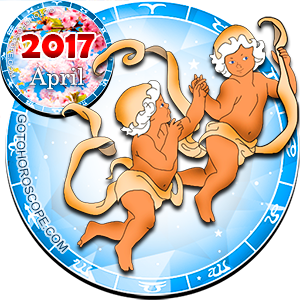 If we dwell on the work sphere in more detail, we must point out that in April 2017 Geminis shouldn't be afraid of anything. There will be challenges, nobody is disputing that, but these will be challenges that can definitely be overcome, and they won't require any extraordinary exertion on your part. At the same time, these will be legitimate challenges, so to speak. You will get yourself in certain positions which you'll have to start from the second month of spring. It's important that you will be absolutely right about this, and this means that there's no particular obligation to prove anything to anyone. In fact, if you work for yourself, you won't have to do anything of the sort. On the contrary, your allies will be asking you for advice. Don't refuse - do everything that's up to you, as this will enable you to strengthen your partnerships and develop cooperative business. If we are dealing with Geminis who work in an office, they will probably have to argue several times with their immediate management. You mustn't be afraid of this if the truth is on your side, but don't let yourself provoke them. Watch your old enemies much more attentively. The influence of Venus' dark energy is quite strong now when it comes to using your blunders to somebody else's advantage. The "romantic front" in 2017 will present Geminis with a succession of quite vivid, unusual developments, the results of which could be quite decisive for you right now. In other words, you mustn't presume that decisions made at the current stage will have an effect much later. On the contrary, everything you do "here and now" will only impact your life right "here and now", even if that wasn't your plan. Married Geminis are advised to act according to circumstances, and it's not really necessary to spend as much time as possible with your family. If your loved ones are doing just fine without you, it means you don't have to interfere with them by intruding. Don't go overboard, of course, and don't isolate yourself from those who are dear to you. It would be better to distance yourself from problems, since looking at them from an outside perspective will help you to make the right decision. At this time your emotions won't be wrong, so trust them. Your reasoning could mess things up in personal matters due to the influence of Jupiter. Don't be too rational, and don't be a wet blanket, otherwise you will lose the attention of the people who are important to you. I need to play it well - need her on my side, cause i have lots of enemies that know the real me.. so cannot her becomes friends with them now can i ?